We decided to stay at home during the holidays so we could establish some holiday traditions. I love to cook and I was looking forward to the holidays so I could spend the time to cook and bake. With a toddler, I think it’s important to establish some Christmas traditions. I have great memories of spending time with family during the Christmas season and recall many fun traditions. 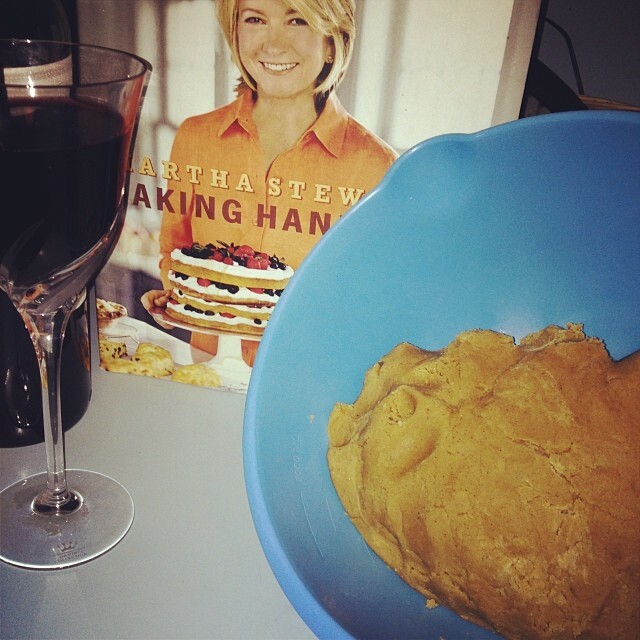 First attempt at gingerbread cookie dough – Martha Stewart’s recipe. Needless to say it didn’t turn out well hence the wine. always loved gingerbread cookies and I thought it would be fun for my daughter to decorate them. I just needed a recipie so I found one in my Martha Stewart baking cookbook. The first batch was very crumbly mainly because I think my baking assistant was adding more flour. The second batch of gingerbread cookies turned out much better. 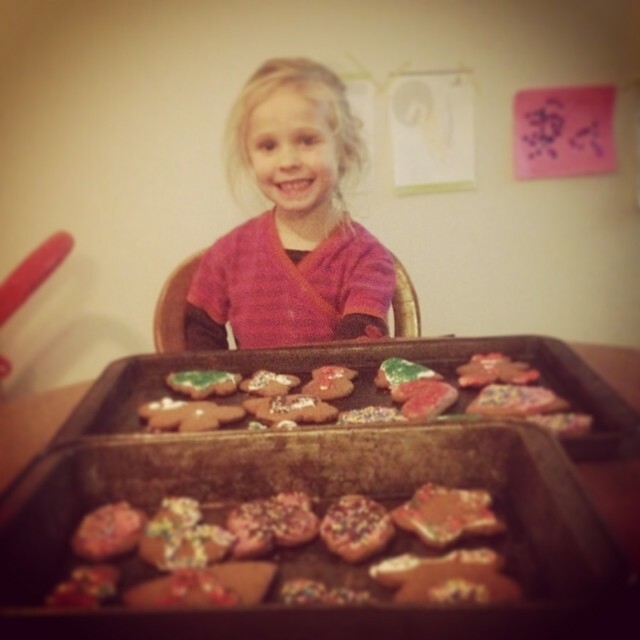 My baking assistant was very good with decorating the cookies although she ate most of the sprinkles. Sprinkles are a food group according to some… including V.
A couple of weeks ago I was watching the Food Network and saw the Gordon Ramsey Christmas special. He made his version of Beef Wellington. I was inspired so I decided that his version of this traditional English fare was going to be our meal on Christmas Eve. This is an intersting recipie because if you watch the video, Gordon talks about adding chestnuts. However, if you Google the recipie, there is no mention of chestnuts. To make sure that I am true to the chef, I bought chestnuts at the grocery store. We didn’t have a nut cracker so I decided to roast them in the oven so they would be easier to open. I forgot to score them and they exploded. Needless to say I had to clean up the mess in the oven. Exploding chestnuts and sprinkles. Great Christmas memories in our household. Previous Cast Announcement for “And Then, The Lights Went Out” Next French Onion Soup For A Frozen Day! Excellent traditions. Make for a very good story!